2018 | kdts Co. Ltd. | kdts Co. Ltd.
IllegaView Server ( Ver.22Aug18) and Client (Ver.1Aug18) are now released. Illegal View Server (Ver.22Aug18) - Real time monitor supports camera function. The camera image is displayed live. Illegal View Client (Ver.1Aug18) - Improved stability of program operation. 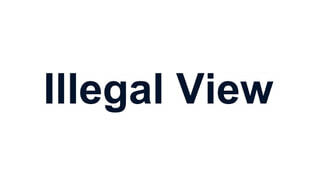 IllegaView Server ( Ver.22Jun18) and Client (Ver.14Jun18) are now released. Illegal View Server (Ver.22Jun18) - The limit of the session ID to be recorded in the remote history was adjusted to the OS. Illegal View Client (Ver.14Jun18) - The limit of the session ID to be recorded in the remote history was adjusted to the OS. IllegaView Server ( Ver.9Mar18) and Client (Ver.3 Apr18) are now released. IllegaView Server (Ver.9Mar18) and Client (Ver.3 Apr18) are now released.